What Is Affiliate Marketing Training and Do I Need It? The more research I did, the more excited I became and knew I was going to try it. My research also showed me that I’d need some training in order to be a success. 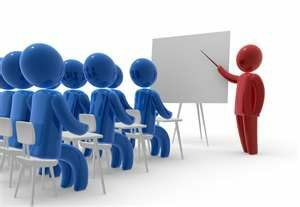 But what is affiliate marketing training and how can I get it? Let me show you! First Up–What is Affiliate Marketing? How Hard is it to Create a Website? Why Would Training Help Me? 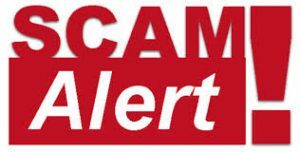 Beware of Scams and Get-Rich-Quick Claims! You Can Be a Successful Affiliate Marketer! What does that mean? Simply put, an affiliate marketer has a niche website where they write articles and reviews and provide links to online merchants who sell products or services. When someone clicks on one of those links and buys something on the merchant’s site, the affiliate marketer gets a commission. So if you’ve ever clicked on a link on someone’s website that took you to an online store, such as Amazon for example, you have been a customer of an affiliate marketer! This part of starting my online business was probably the most intimidating for me. But technology has made some great advances and creating a website couldn’t be easier! Years ago, you’d need to know how to write HTML code and how to insert meta tags (?!?) or pay hundreds of dollars for someone to do it for you. Now, with platforms like WordPress, your website can be created in a minute or two with a couple mouse clicks for $8 a month! You choose your niche, create a domain name for your site, and within minutes you’re ready to write articles! 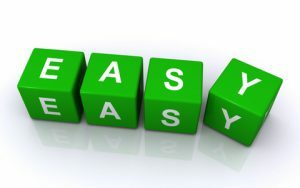 OK, so if creating a website is so easy, why would you need training? 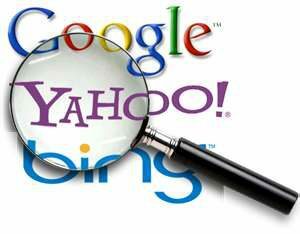 The three top search engines, Google, Bing, and Yahoo, are the holy grail for any affiliate marketer. If you can get on the first page of these search engines, you will have traffic to your site. If you have traffic, you’ll get customers linking to your merchants, and that means commissions! As recently as just a few years ago, anyone who stuffed a bunch of keywords into a 500 word article could get to the top of the search engines and get traffic. But with so much spam and scams out there, all of that is changing. 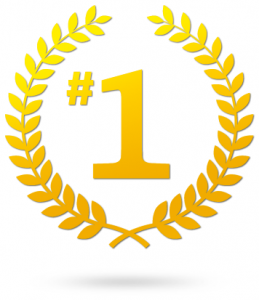 When the search engines rank websites to determine which ones are first for a search, they only want the top trusted sites listed first. They choose the websites that are easy to navigate, educate their readers, and give them a positive experience with a lot of quality content whether they’re on a laptop, tablet or cell phone. So how do you know what the search engines consider quality content? How often do I need to post articles to be seen as a trusted site? How do you know what formats will create the kind of positive experience that will be rewarded with higher rankings? How can I protect my site from spammers and scams? These are the kinds of questions that made me realize I needed to look into some training. When you’re researching affiliate marketing online, it becomes pretty clear that there are plenty of programs out there that are very anxious to see you and the money in your wallet parting ways. They’ll promise that they have everything you’ll ever need to know so you can start making money right now! So how do you know what programs are legitimate and how can you avoid scams? The first thing you need to recognize is which sites are promoting nothing substantial other than a get-rich-quick claim. Do any of these sound familiar? Do you want to make $500 a day starting within your first 24 hours! Buy our program for just $7 and get $70,000 in Bonuses! Input a few details and our program will create a landing page with free traffic and you’ll make thousands! The fact is that success in affiliate marketing takes time, patience, and hard work, and any legitimate program will tell you just that! The second thing you need to consider is whether any program being offered is run by successful affiliate marketers. You can find a lot of reviews out there by people promoting that a program will make them thousands of dollars, but it’s obvious that they do not understand affiliate marketing. Yet they want you to pay money in order to see what they have to offer. In my opinion, any legitimate program will let you have a trial period where you can experience what is in their platform and see whether the information is quality training or not. When I was younger, I fell for an internet marketing scam, and it cost me several thousand dollars. I was bound and determined to not get scammed again–I want to know what I’m getting before I pay a penny! I first became familiar with the program that I eventually chose to get my training from by accident! I love to make homemade soap and was researching whether that was a good way to make money from home. 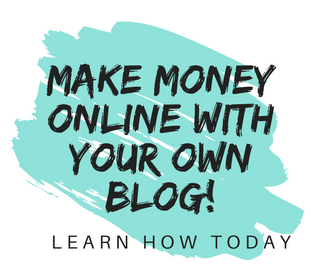 There was an article that detailed all the pros and cons and also suggested that I could make money blogging about soap making with Wealthy Affiliate! I immediately noticed that this article had been the top post on my Google search results, was very interesting, informative and well written by a successful affiliate marketer. 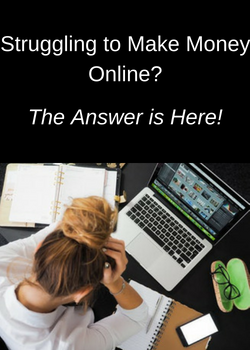 I clicked on his link to Wealthy Affiliate and immediately signed up for their free membership to find out what it was all about! Within minutes, I had my first site set up and access to their program. What I found was a top quality platform designed to train and assist affiliate marketers, like myself, start and be successful with an online business. The program is community based and actually designed to encourage members to help each other and answer any questions you have. Not one person in Wealthy Affiliate is going to tell you that you’re going to start making money right away or get rich in 3 months, and I liked that! Everyone knows how hard they work to create quality articles and they’re happy to be honest about it and not create unrealistic expectations just to keep you in the program. There’s no hard upselling for more and more products. They do have a premium membership for those who want to expand their business and get additional training. But you can build and run up to 2 websites and stay on their free membership indefinitely! Wealthy Affiliate is my #1 recommended program for anyone who wants to start an affiliate marketing website, and I encourage you to check out my full review here! There are so many advantages to working from home. If that is your goal, or if you just want to have another stream of income to pay off debt, retire early, or buy that new car, I guarantee you that Wealthy Affiliate can give you the training and knowledge you need to be successful! Do you have a goal to work from home? Does affiliate marketing sound like something that you would enjoy? Let me know in the comments below. Build Your Early Retirement is always happy to hear from you! Thank you for such a great post on affiliate marketing and Wealthy Affiliate. I like how you let us know that no matter what our niche/interest are, we are able to build a site on it with proper training to get it noticed and on the front page of the most used search engines. For myself, I did not realize that I could basically build a site about anything. That threw me into a panic, because my mind of course was racing with ideas. Luckily Wealthy Affiliate also provides you with tools to help in that as well. I had no idea that you could do affiliate marketing with any site! The great thing about that is you can choose a niche that you’re passionate about and know that there will be a way to monetize your site. I think having a site about something you love is so much easier to write about and shows in my work! Good luck to you, Lee Ann! I am a brand new user of Wealthy Affiliate and I couldn’t be more impressed. I’m glad I stumbled across it and you are doing a service to all others who are interested in learning how to do what they love everyday. The ability to work hard with affiliate marketing in order to be financially independent is a goal we can all achieve and this program gives us the tools to succeed. Best of luck to you! I couldn’t agree more, Tony! Thank you for taking the time to comment and good luck to you as well! I have fallen for a scam myself and it’s hard to recover trust and try again. But when I signed up for Wealthy Affiliate’s free membership and had my own website within a couple min and saw for myself that it wasn’t a get-rich-quick scheme, I knew I had the right program. Thanks so much for taking the time to comment! Hey i really enjoyed this article, very informative information about affiliate marketing. It is good to get the best training and for the right price. Thats why i love wealthy affiliate, there are no upsells or lies to get more training. I have learned so much in the 5 months i have been here and i keep learning as i go. I’m so glad you are having a positive experience at Wealthy Affiliate! Everything I learned about blogging and affiliate marketing I learned from WA. They keep their training up to date and teach you everything you need to know to create a successful online business. Thanks for stopping by! Affiliate marketing is one of the growing business in the internet recently and I have been doing it for the past six months. Even though I started it six months ago there was a lot for me to learn from this article. I learned a lot of stuff that I didn’t know before reading this article. I’m going to make the changes and thank you for sharing this information. You are welcome, and good luck with your online business–I wish you every success! It’s good that you followed your instincts and glad to see that you’re having a great experience with WA! It’s one of the few legitimate platforms out there where you can get full training, world-class website hosting, and a community of experienced marketers to help–I love it! Flea Market Flipping For Profit–Can You Really Make Money?